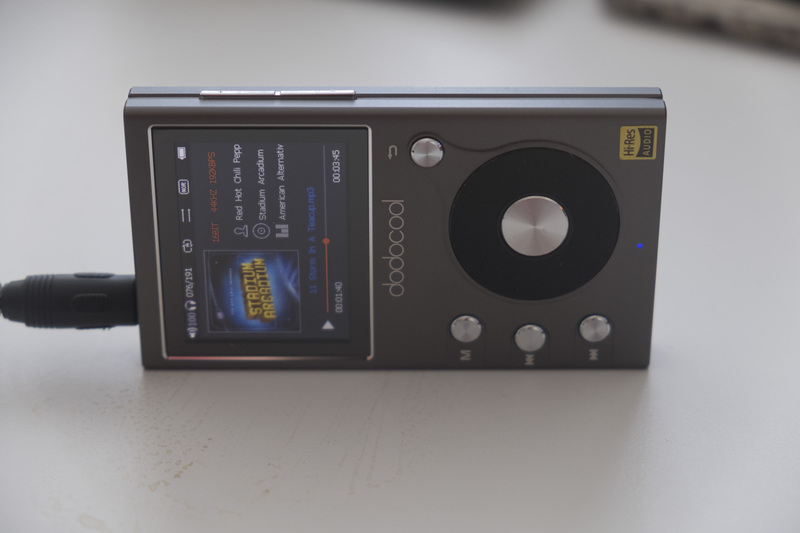 Today we’re stepping in back in time, as we test the dodocool DA106 MP3 player! How much do you get for £40 in 2017? Let’s find out! 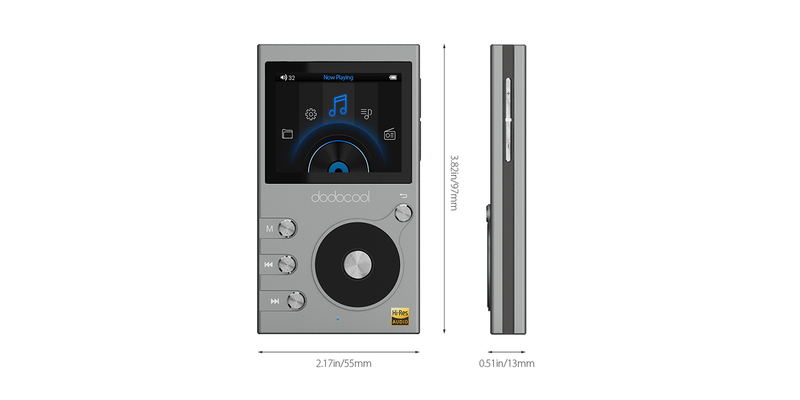 The dodocool MP3 player is a small but strong thing, crafted from a couple of attractive grey slabs of aluminium alloy. The top half of the device is dedicated to a 2-inch colour screen of dubious resolution, while the lower half includes a classic iPod-style wheel, a back button on the upper right and three more buttons on the left side. 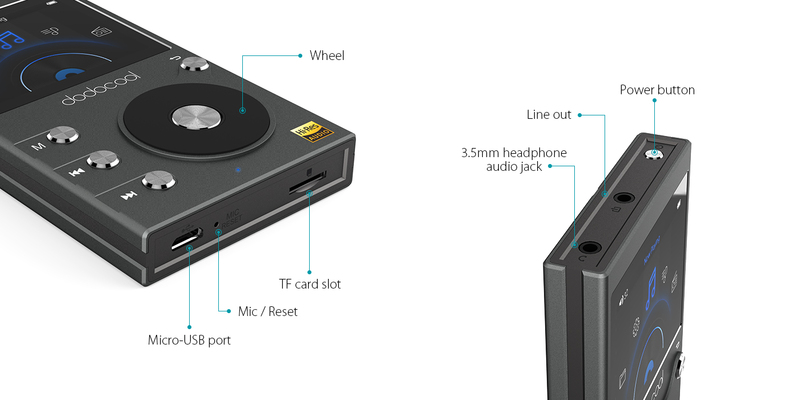 The top of the MP3 player has two 3.5mm outputs, one for headphones and one for speakers, and a power button. Meanwhile, the bottom of the dodocool has a Micro USB port for charging (and transferring MP3s), a microphone and a Micro SD card slot. The remaining sides are relatively barren, although there is a volume rocker on the right side. The overall impression is pretty strong — this isn’t the smallest or lightest device, but you can see the thought process that went into its design. It’s big enough to have a sizeable battery, a readable screen and room for all the buttons. I wish my MP3 player in 2008 had all of these features for £40! 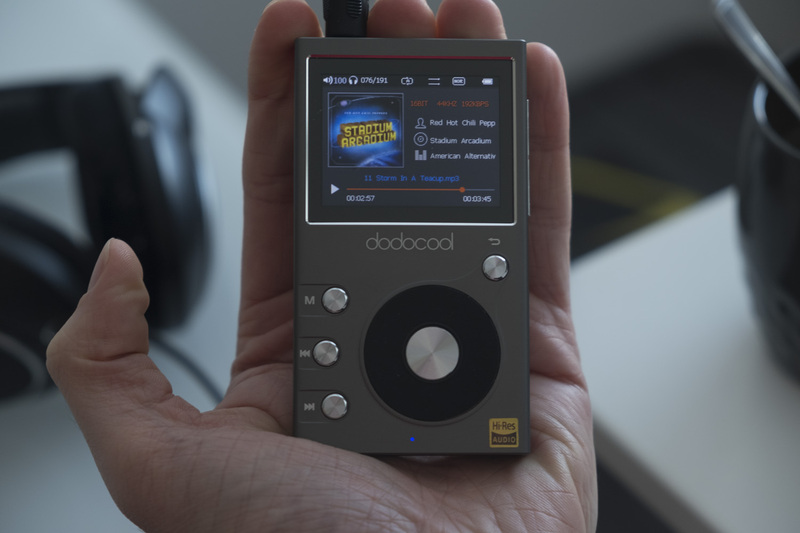 Using the dodocool MP3 player is like stepping back in time, using some weird hybrid of an iPod and Creative’s Zen line of MP3 players. The wheel is very iPod, although it has just a little bit too much friction to roll smoothly. That makes it a little annoying to switch songs quickly, but it still works well enough — and perhaps it’ll break in after a while. Songs play without delay using the ARM chipset’s built-in DAC, and finding the right tunes is easy enough if you’ve been sensible in creating an appropriate directory structure when copying them over in the first place. The volume levels are a little too granular for my taste. There are 100 volume levels, and it takes fully sixteen seconds (I counted) to get from 0 to 100 or vice versa. If you put on your headphones and it’s too loud, you won’t be able to turn down the volume in time, you’ll just have to take them off. There is at least a feature that can either remember how loud you like your music, or reset it to a safe level each time. In addition, the volume controls don’t work while the screen is off, so you’ll need to press the power button before adjusting the volume — annoying if you’re listening to songs from different albums or eras that vary in volume. 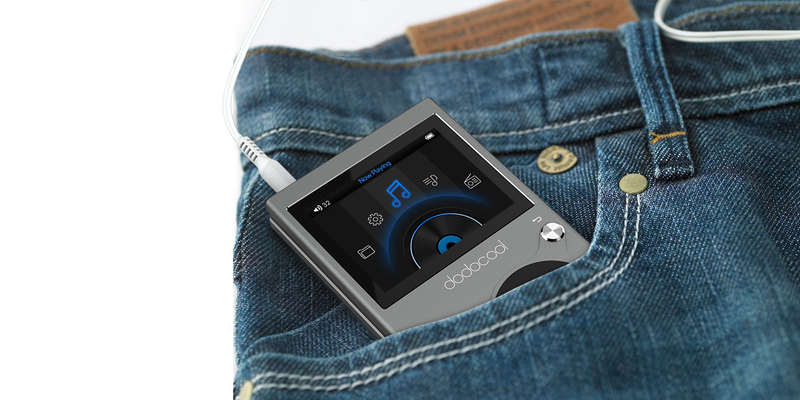 Putting music on the dodocool MP3 player is super easy. Just connect it to your PC with the Micro USB cable, and copy music into the MUSIC folder — no need to install drivers or special software; everything just works immediately. Upgrading the firmware is similarly straightforward; just download the firmware online, place the .IMG file in the root directory and reboot the player to automatically begin the upgrade. I wish other devices could be as easy as this! 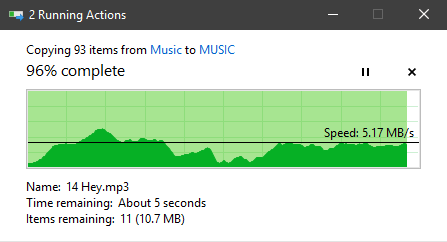 The dodocool can play a nice variety of files. Standard MP3s work just fine of course, as do file formats including MP2, WMA, DSD64, DSD128, DSD256, FLAC, ALAC, APE and WAV. Chances are, if you have music downloaded online or ripped from CDs, you will be able to play them without issue here. 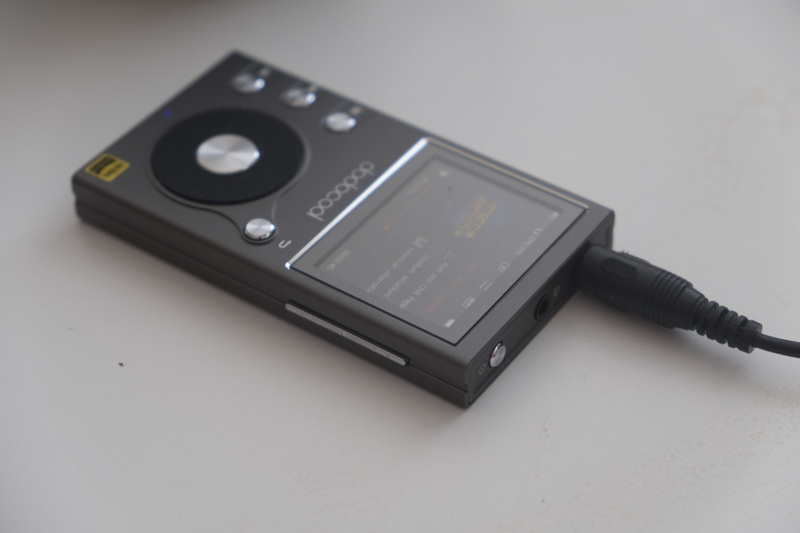 The pedestrian DAC used in the dodocool means that audiophiles may prefer a more premium alternative, but the rest of us will be happy enough. With 8GB to play around with, you’ll be able to fit dozens of compressed albums or half a dozen uncompressed albums. Thankfully, Micro SD cards are super cheap these days, so you don’t have to pay too much to get hundreds of gigabytes more to play with. If you’re sticking to MP3s then 32GB should be enough for most libraries, while FLAC aficionados may need larger 128GB or 256GB cards. The DA106 is nicely portable, as it’s substantially smaller than most smartphones, if a little thicker. It’s also likely to be longer lasting than your phone, as you can’t use it to get lost in Reddit, play 3D games or otherwise rinse the battery. 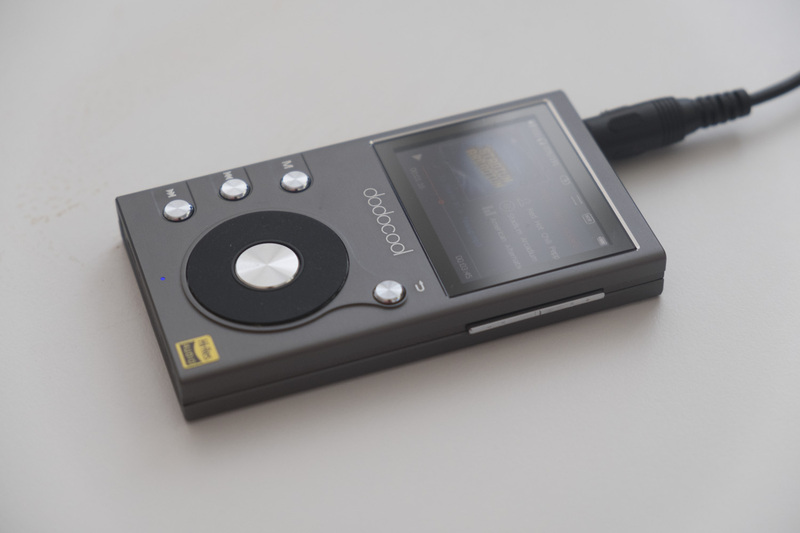 The dodocool MP3 player is a fun anachronism, a dedicated device for playing digital music that doesn’t need an internet connection to function. MP3 players may have been beaten out by smartphones in the grand scheme of things, but there are still people and situations for which they’re perfect. I like this one quite a bit… even if its buttons lack tactility and you have to wake up the screen to (slowly) adjust the volume. For £40, these are acceptable flaws, and I’m happy to recommend this as a budget option for old-school music fans who need something simple, adaptable and long-lasting. I put an 64gb sd card in it but it does not work, What can I do? Make sure the card is formatted — try FAT32 or NTFS, maybe? Thanks William, I did it and it works now, Thank you! It is a beautiful player I am very happy with it. New version of firmware (3.5.0) is out now and I can’t update it…Months ago I successfully updated firmware just placing .IMG file in the root directory and unplugging USB cable but today I can’t do it… Have you any success with this? I don’t have this anymore, unfortunately. I have just taken delivery of this MP3 Player. I desperately need a Manual – anyone know where I can find one which is not just a picture of the unit and the names of the buttons? I’m afraid I don’t have one, Brian. What do you want to do?